It’s been a journey of 12 months, 52 weeks and 366 days and that brings us to the end of the year 2016. It may not have been all smooth; there may have been both good and bad times, lots of hurdles and some mistakes for which we wish we could turn back the hands of time but if you are reading this, just consider yourself blessed to be counted among the living. 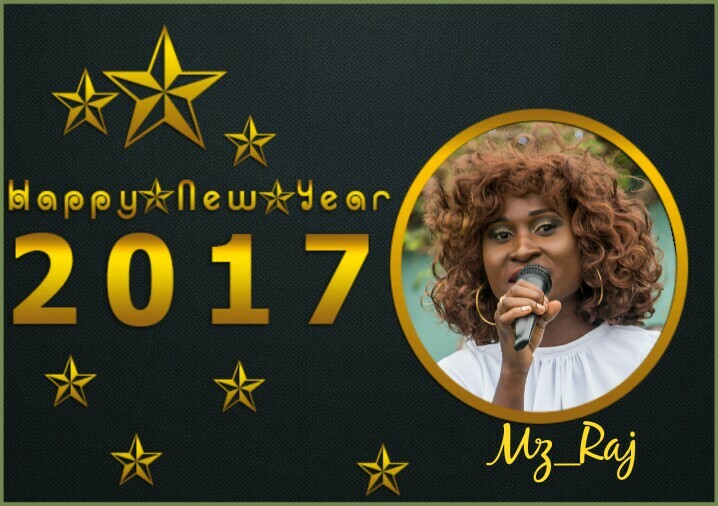 Like anybody else, I may have had personal challenges too but the year 2016 has been an exciting one for me as a Professional MC. This year saw an end to my pro bono services, which was a way of giving back to society and also a means to perfecting my art, and ushered in some real clients. 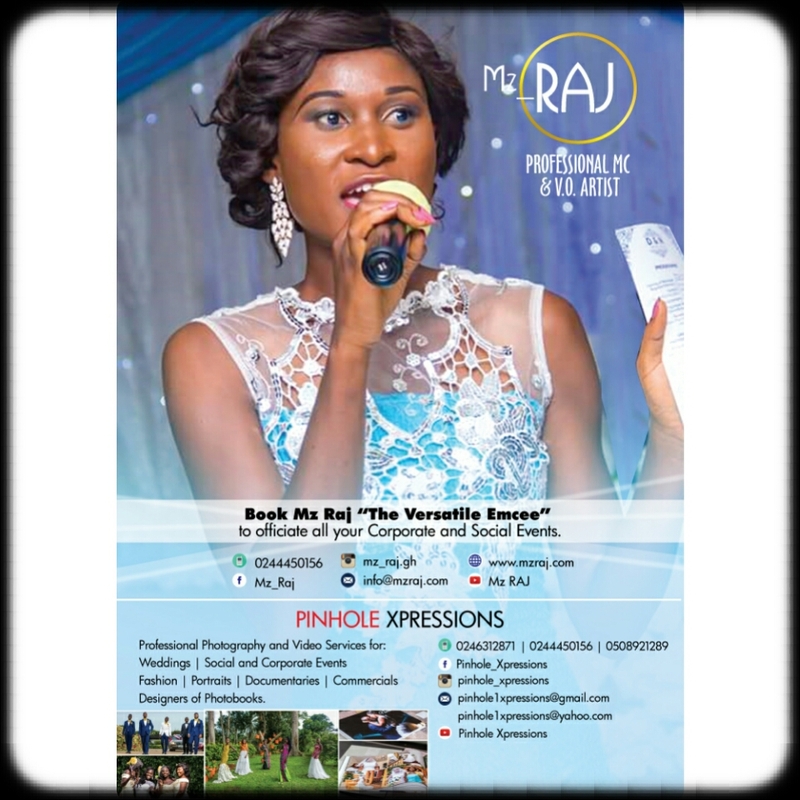 I kickstarted the year on Saturday, January 2 with the launch of a Magazine for young African Entrepreneurs: Biz Africa and ended with the glamourous wedding of Fg Officer and Mrs. Okoe on Thursday, December 29. In between, I had the opportunity to host a number of weddings; the launch of an advertising Newspaper: The Advert Tyme; an album launch of the songstress Jay Ampofo, two concerts and a series of birthday celebrations. It’s really difficult to say which was my best event or who my favourite client in 2016 was, because each was unique and exciting and as much as possible, I gave my best as the lady on the mic. As we roll down the curtain on 2016, I would love to appreciate all my amazing clients who have kept me in business; family and friends who always got my back; social media followers, admirers and colleague event vendors who believed in me and continue to support me with their substance (sponsorship) and encouragement; To you, my cherished reader who supports me in diverse ways, including sharing and commenting on my blog and social media posts. And ultimately, to God Almighty whose Grace, Mercy and protection has brought me this far. He’s not done with me yet, and so are you. His purpose for our lives will surely manifest in the coming year and beyond. Wishing You A Blissful 2017!!! 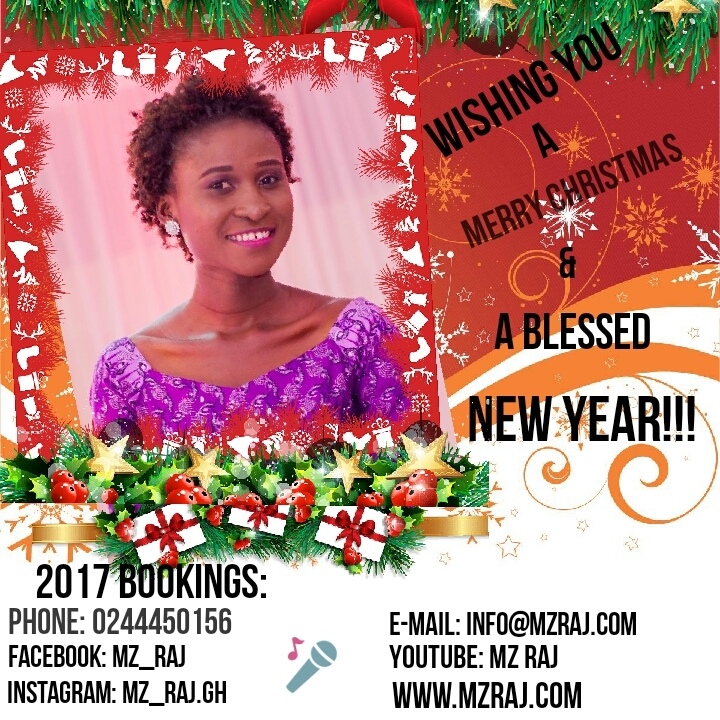 This entry was posted in Uncategorized and tagged 2016, 2017, Events hosting, Events MC, Happy New Year, lady mc, lady on the mic, Master of Ceremonies, MC, New Year, New Year 2017, Show host on December 31, 2016 by Awura Quansema. It’s the eve of Christmas, the season to be jolly is here with us again. Christmas, also refered to as Noël, Nativity or Yule, is the commemoration of the birth of the Wonderful Counsellor, the Everlasting Farther and Prince of Peace: Jesus Christ. Christmas, though a Christian festivity, is also celebrated by non-Christians the world over and is characterized predominantly by Christian activities and services such as the Festival of Nine Lessons and Carols, Christmas Day Worship Service and other activities. Many are those who have made adequate preparations ahead of the celebrations or travelled far and wide to commemorate the occasion with their families, friends and loved ones. As we feast on our fowls, goats and sheep, let’s not loose sight of the needy and vulnerable in Society. Christmas is an opportune time to lend a hand and put a smile on someone’s face. Be a blessing and be blessed! And as we engage in Merry-making this season of Yuletide, let us remember, “Christ is the reason for the season”. There is no Christmas without Christ, not harmattan. Merry Christmas to you All and I look forward to seeing you in 2017. 2017 Bookings ongoing: Professional MC for corporate and Social events and photography/Video coverage. 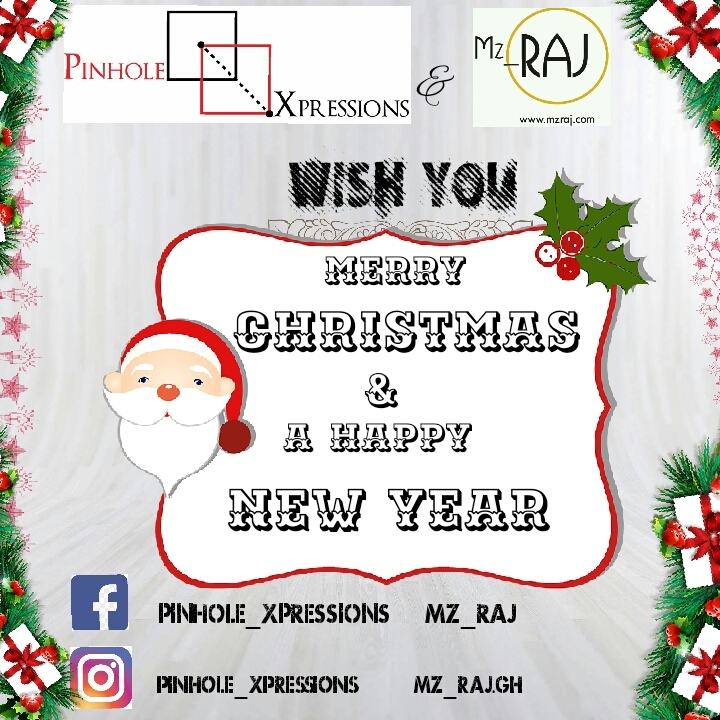 This entry was posted in Seasons and tagged Celebrations, Christmas season, Commercials, corporate events, Documentaries, Events, Events hosting, Facebook, Jesus Christ, Jolly, linked instagram, Master of Ceremonies, MC, Merry, Mz Raj, New Year, Photography, pinhole_xpressions, Professional MC, Seasons, social, social events, Videography, wordpress, Yuletide on December 24, 2016 by Awura Quansema. 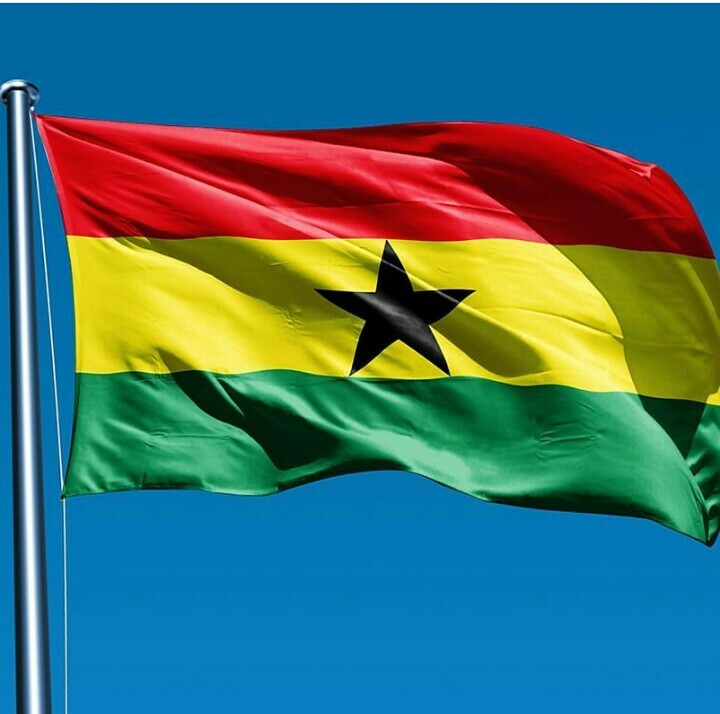 It is few minutes after midnight on December 9, 2016 and I am flying the flag of my country, Ghana. Why? Ghana has emerged victorious and I should be proud. It’s all about the Presidential and Parliamentary elections held on December 7, 2016. Generally, the process was smooth, peaceful and to a very large extent, transparent and has received lots of commendation from both local and international observers. With the elections coming few days after The Gambia held its own elections and the incumbent President unseated, there was so much anxiety, whether Ghanaians will vote for the continuation “Toaso” of President John Mahama or change, for a new President. All other Presidential candidates fell along the way, leaving the the two giants of the NDC and the NPP and at this time almost all Ghanaians turned into collation officials churning out their own figures as they were reported from the various polling stations and collation centres. There was so much tension within a very short time, with several calls on the Electoral Commision to declare results. Eventhough 72hours seemed like 10years to many Ghanaians, the results were actually declared after 48hours, 12 hours ahead of the scheduled time and this is worth noting and commending. Nana Addo Dankwa Akuffo-Addo of the NPP was decclared winner with 53.85% of total valid votes cast. • It’s the first time in Ghana’s electoral history since the 4th Republic that a President has served just one term. •It’s the first time since 1992 that a candidate in oposition has won the Presidency “one touch”! •The President-elect, Nana Addo Dankwa Akuffo-Addo has broken the chain of persons called “John” elected as Presidents in Ghana since 1992. On this note, I congratulate H.E President John Mahama and all the other Presidential/Parliamentary Candidates and MPs-elect. You fought a good fight. The Electoral Commission of Ghana, led by the affable, confident, resilient and beautiful Mrs. Charlotte Osei, kudos for a good job done! Indeed, you proved that you were in full control. To our gallant Security Personnel nationwide, thumbs up for ensuring law and order throughout the process. The Media, I say Ayekoo for the sleepless nights just to give extensive coverage and reportage. To the President-Elect, Nana Addo Dankwa Akuffo-Addo, Congrats Sir! A win for you is a win for the whole of Ghana. Be a President for All and please let the Change be felt. And finally, to my fellow Ghanaians, we made it!…we are a peace-loving people; we demonstrated it one more time. Tolerance, Peace and Unity carried the day and God has been faithful. Just as the various voice parts blend harmniously to produce good music, so have we played our individual roles for God and Country!